Hey everyone! It's your old pal Barbecue 17 here. Guess what happens this weekend? Lots of stuff, actually! Deadpool was released yesterday, Valentine's Day is Sunday, and today? Today is the official start date of the New York Toy Fair. That means lots of new toys! While I'm not going to be doing any in-depth coverage here or anything I definitely want to point out some cool stuff that strikes my fancy. Heck, I might do some updates to this post over the week just to add more cool stuff I've see. First though, check out the picture above: It's the DC Icons Batgirl of Burnside. 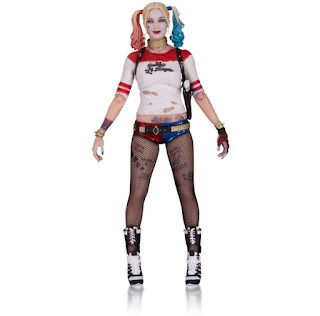 I haven't picked up any figures from the DC Icons line yet, although I do have the Harley Quinn and Joker on order. 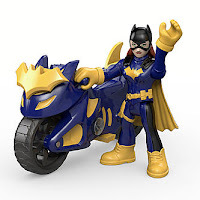 I was thrilled to see DC Icons tackle the Batgirl of Burnside, though, particularly in a deluxe style with the inclusion of her motorcycle.. She looks incredible and is supposed to come with an extra head with windswept hair and a cape that's blowing back for posing her on the motorcycle. Pretty sweet, right? Join me after the break for more goodies about such varied topics as The Joker: Endgame, Imaginext, rumors of a return for either the Collection Agency or the Confirmed Epic Podcast, a brief Deadpool review, and a look at a variety of toys that have already been shown at New York Toy Fair 2016! * Since my little one has gotten so into Imaginext lately, I bought her a few playsets last week as a surprise. They arrived in the mail last Saturday and we now have the Imaginext Hall of Doom, Hall of Justice, Woodland Castle, and Ghost Pirate Island. We've had some truly epic games of Imaginext hide and seek this past week, which involves me lining up all of our playsets (we also have one of the tall Batcaves, the Gotham City jail, and the Wizard's Tower) and hiding Imaginext figures in them for the little one to find. Oh, and also for good Imaginext news this week: Batgirl! We'll be picking up two of these! * I finally got around to reading Batman: Engame this past week. 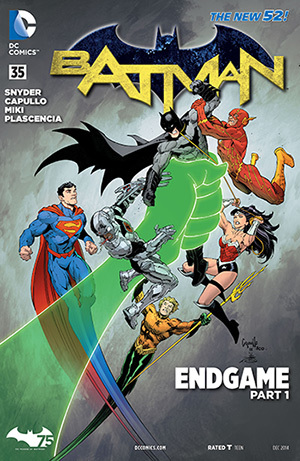 It's the seventh TPB volume in Scott Snyder and Greg Capullo's run on Batman and takes place after Batman Eternal. While it has been released as Batman: Vol 7, there is also a deluxe hardcover edition called The Joker: Endgame that is worth picking up as it includes all of the tie-in issues from other Batman books. The main story itself is solid, but the tie-in issues which revolve around various characters telling stories about the Joker's origins, are actually even better and add some real flavor to the narrative. I'm incredibly sad that Snyder is leaving Batman after issue #51 as he has done some incredible things with Batman. I'd dare say that his run on Batman is the best Batman has ever been as an ongoing comic. Endgame is a solid effort, although not quite as good as it's predecessors. It does have a shocking ending, though, that brings about some real changes to the status quo. That's something you can't always say about superhero story arcs. * Could there possibly be a return for either The Collection Agency or The Confirmed Epic Podcast? That's a possibility. For various reasons my podcasting partner, the Reel Brad Bell, had to put the projects on hiatus for a few months but now, sources close to me report that things might be in motion again for the podcast to return. Your thoughts? 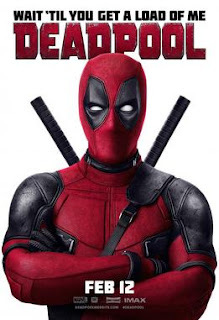 * Last night my wife and I went to see Deadpool and were both thoroughly entertained. Not only was the movie hilarious but it also did a great job of telling a compelling story. The narrative structure of the film, as silly as Deadpool made it seem, really worked. It was great to see a superhero film that was so different. This isn't about saving the world or learning how to control superpowers: As much as the advertising joked about it, Deadpool is kind of a love story. An oddly told and incredibly violent love story, but a love story all the same. While there could have been a few more random Deadpool moments here and there, Ryan Reynolds absolutely nailed the character. (By the way, Deadpool would have made a crass one-liner after that last statement). Two last things: First, please don't take your kids. This isn't a kid friendly movie at all. Second, stay after the end credits. Totally worth it. * DC Collectibles has already shown a ton of stuff this past week, including a new range of figures based off of DC movies. The first releases are from Batman vs. Superman: Dawn of Justice (Armored Batman, Superman, Lex Luthor, and Wonder Woman), Man of Steel (General Zod, Jor El and Faora), and Suicide Squad (Harley Quinn and El Diablo). They're supposed to be around 6 inches and to be closer in quality to something like Figmas or S.H. Figurarts, which means a lot of articulation and more accessories. They're also a bit higher in price, slated to be around $40-$45 dollars. I'm hoping they do figures based on older films as well. * DC Collectibles has went crazy with their Batman Animated line! 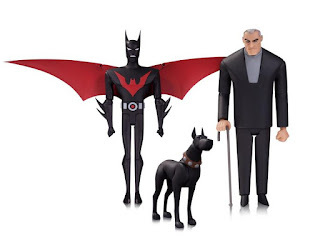 Multiple new releases are coming out including Talia al Ghul, Harvey Bullock, the Ventriloquist and Scarface, a Dark Knight Returns set, a freaking massive Batwing, and this very cool Batman Beyond inspired set. I'm not a completest on this line but I do pick up the figures that really appeal to me and I've already pre-ordered quite a few from this series. * IamElemental series 2 has been revealed and is already available for pre-order from Rebel Elements. I reviewed the first series of these figures a couple of years ago and it's cool to see a second on the way. It's amazing to me that a small company like Rebel Elements has done a better job of designing the articulation in 1/18th scale figures than larger companies like Hasbro and Mattel. 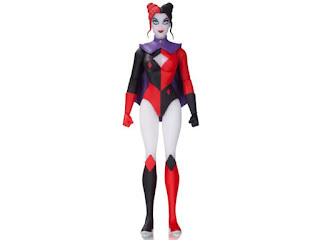 * Based on her self titled comic series, Harley Quinn is getting her own line of action figures from DC Collectibles! There's a superhero Harley (seen to the right), a Christmas themed Harley, a space suit Harley, and a classic themed Harley Quinn. 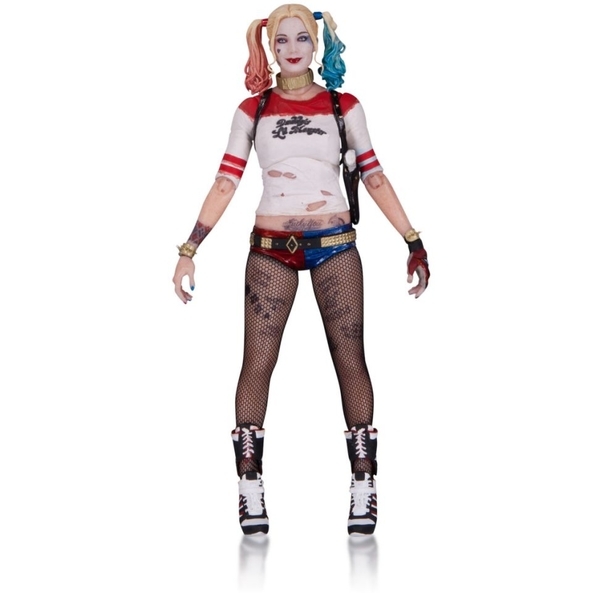 If you're a fan of Dr. Quinzel, then you'll want to preorder them all. 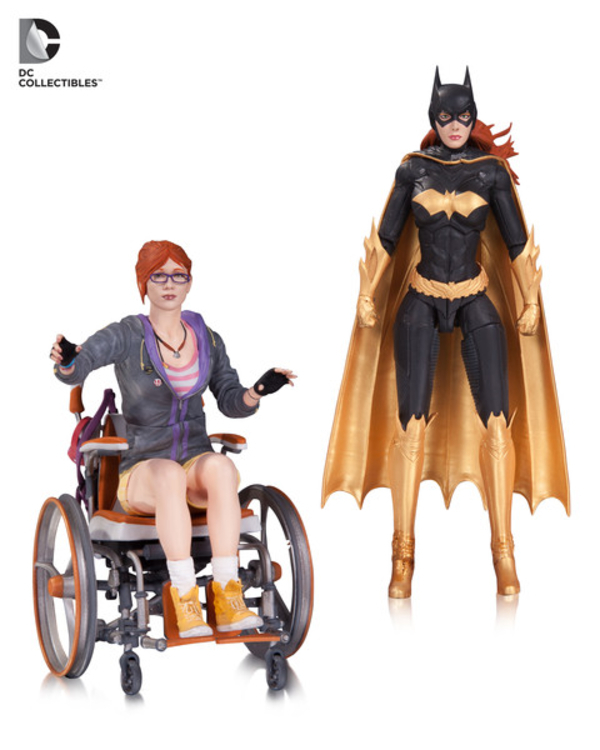 * How cool is this Batgirl and Barbara Gordon as Oracle two-pack from Arkham Knight? Both figures look incredible although Barbara's articulation looks pretty limited. Is she built that way or is this still an early prototype? We'll hopefully learn more over the next few days. It has been years since Oracle was released as a figure (back in DC Direct's Birds of Prey set) so it's nice to have a modern, updated version. 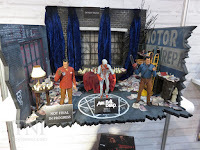 * Head on over to Toy News International to check out plenty of images from NECA's new action figure line based on Ash vs. Evil Dead. Since I don't have cable or anything I've only had the chance to watch about four or five episodes when visiting with my dad but I love it so far. It's cool to see NECA release some figures for this, including Ash, a ValueShop Ash, and the Eligos. I hope they do a few more as well, maybe even mixing in some more figures from the classic films. I'll keep adding to this thread as I see more cool stuff for Toy Fair this week! Some cool stuffs for sure!